Best SSL Certificates at affordable prices. The abbreviation SSL, stands for Secure Sockets Layer, which is complex technical jargon that essentially means "your data is protected." In order for any data submitted through a webpage to reach its destination, it has to be sent over the internet. Without secure SSL certificates, it's possible for even an inexperienced hacker to intercept that data. One of the major problems with buying an SSL certificate cheap is that you risk getting one that isn't recognized by browsers. If the user's browser doesn't recognize the company that issued your security certificate, SSL 128 bit encryption isn't going to matter. It might exist, but if a browser doesn't trust it, your user won't either. This is the absolute highest level of security available to any website. Although the actual encryption doesn't really change, what is noticeable is how carefully your site is vetted and checked before these highly trusted SSL certificates can be issued. The issuing companies won't just provide the data security your visitors demand; they'll also carefully examine the documents that back up your company's existence. The end result is that they go beyond simple data security and actually provide thorough verification. This might not seem like much, but keep in mind the mindset of a typical online customer. If they're buying online, they might have never heard of you before. They have no way to go out and validate your company themselves. If you have an extended validation cert, SSL 3.0, they know that the checking and validation has already been done. That's why these are the best SSL certificates for companies that need to go the extra mile with consumer trust - there is actually a clickable banner that will display full information about what was checked to visitors. This is an incredible confidence booster for customers who aren't certain about a site, and it can easily drive people to feel comfortable purchasing. Of course, all of this validation does require legwork on the part of the company issuing the certificate, making these the most expensive kind of digital certificates. SSL certification of this kind is available at a very affordable price on WhoGoHost.com, but it will still be more expensive than a lower form of validation. This is the second highest level of validation available. It provides the advantage of thorough comparison and vetting, but doesn't take quite as much time to process or dig quite as deeply into your company as extended validation. It will still provide a clickable link that gives information about your business, but it won't contain as much information as you'd get with extended validation. If you want some company-level validation for your site, this type is a good buy. Certificate prices are lower than EV, but still very affordable through WhoGoHost.com. Because this kind of validation takes the least work, domain validation are the cheapest SSL certificates you'll find. But remember before you buy: digital certificate validation is important to customers as well as their actual data protection. You aren't spending as much for domain validation and it will provide you with the same level of protection you get when you buy SSL certificates, but you're missing out on an added level of visitor confidence. Unlike the types of validation above, wildcard SSL doesn't have a single level of user trust attached to it. Domain, organizational, and extended validation all have wildcard options available. The difference here is that a single wildcard SSL certificate purchase can cover multiple subdomains. Usually, you need to buy SSL certificate coverage for all subdomains individually. Considering the low cost of SSL certificates, if you have just one subdomain, that might not be too much of a hassle. But if you've got multiple subdomains, or plan to add more in the future, you're going to want to cover all of them with one SSL certificate. Buy a wildcard, and you're set. Certum Commercial DV SSL provides basic protection of Internet connection. That is, it provides necessary protection against the loss of confidence of customers and users of your website. Domain level validation. Domain level validation requires the least thorough examination of your company in order for a certificate to be issued. It doesn't impact or diminish the effectiveness of the protection, and it dramatically speeds up processing time. The SSL certificate can be issued within a day. Fast validation. Domain level verification means that your SSL certidicate can be issued within one day. Certum Trusted SSL provides affordable organization level validation for your business. With industry-standard data security and more careful vetting of your company required before the certificate is issued, the Certum Trusted SSL certificate is the ideal for any growing online business. Fast issuance, strong assurance. Organizational validation means that Certum Trusted SSL certs provide the best of speed and user trust. They do require that your business be validated, but they don't require an in-depth examination like what's usually necessary for extended validation. This means that you can get a Certum Trusted SSL cert fast without sacrificing the confidence that users get when they see that a cert has been validated. Protection you need. 256-bit encryption provides state of the art data security and a 2048 bit key helps ensure that client data stays safe. Data security is at the heart of every SSL certificate, and it remains the primary concern for most users. With these levels of protection, your users will always feel confident when they work with your website. Great features for less. Best of all, the Certum Trusted SSL cert is a great value. It provides a careful vetting process that gives your users confidence and state of the art security features, all at an affordable yearly fee. If you own or maintain a website, the answer is almost certainly yes. Over the past few years SSL has gone from a luxury to a mandate on ecommerce websites, and now it's become something that is mandatory on all sites regardless of their content and whether or not they handle secure information. That's because users know that all their information is valuable, but also because they've become aware of what certification means beyond the simple facts of security. It means that your business has been verified, that the details have been checked and you've been confirmed. This security is different from actual data safety and can be invaluable for a company. Every business needs to practice proper data security. It's a good idea for your own protection, but it's absolutely vital to get the level of trust that you need to turn a visitor into a customer. Today's online shopper knows that sending their data over unencrypted channels is a dangerous thing. They demand secure sockets layer, or SSL, protection for everything they send. It's absolutely vital for credit card information or any other kind of secure data. Immediate user trust. The Certum Trusted SSL Wildcard cert includes organization validation. In order for a certificate of this nature to be issued, your company must be checked over first. It must be verified that your business exists, providing a substantial comfort to people who might be encountering you online for the first time. It's the equivalent of getting a recommendation from a friend that attests to the quality and honesty of a new store. Comprehensive security. With up to 258-bit encryption and 2048 bit key length, it's hard to beat the protection that this Certum Trusted SSL Wildcard provides. As a wildcard cert, the Certum Trusted SSL Wildcard cert applies this same level of protection to all domains and all subdomains within your website. Fast issuance. Because extra validation is required you can't get a True BusinessID Wildcard cert instantly. However, you're able to get it issued within five days, a substantial time advantage over the more in-depth examination option of extended validation. If your business is new and you don't have a strong reputation with your potential clients, you need more than just basic data protection. When your visitors demand a more in-depth examination of your business, give them what they want with this inexpensive Certum Trusted SSL Wildcard from WhoGoHost.com. The Certum Premium EV SSL is an Extended Validation certificate and informs your client that they are on a secure platform by showing them the green bar. Low Cost. As a chained root certificate, the Certum Trusted SSL Wildcard is available at a very low price. Chained root SSL Rapid certificates are secure and inexpensive, a great way to get your website safe for your users without spending a lot. That's why many businesses just getting started or looking to secure secondary pages choose this cheap RapidSSL option. Extended Validation.This type of certificate takes some time before it can become active after purchase. This is because of the extended validation required for this certificate. An extended valideation requires paperwork to get you started. Up To 256-bit SSL Encryption. When your visitors are using current browsers and operating systems and your server is able to handle the load, this certificate will use strong 256-bit SSL encryption. Lower levels of encryption will be used as necessary to suit each user and adapt to your server. The minimum encryption level is 128-bit. Comodo Positive SSL lets you secure your site immediately with no waiting. Comodo is one of the most trusted names in the certificate authority industry, ensuring that visitors to your site feel secure when they purchase your goods or submit sensitive information in forms. A Comodo Positive SSL certificate will keep their information safe as it travels between their computer and your server. State of the art encryption. With encryption that can reach 256-bit and 2058-bit key length, the Comodo PositiveSSL certificate provides all the safety that your customers could want. Domain level validation. Domain level validation requires the least thorough examination of your company in order for a certificate to be issued. It doesn't impact or diminish the effectiveness of the protection, and it dramatically speeds up processing time. A Comodo Positive SSL certificate can be issued within minutes; other types of validation take at least two days. High trust level. The Comodo name is trusted by 99.3% of browsers, resulting in extremely high recognition rates. When browsers see a site secured by a PositiveSSL certificate, they know it's safe, and your visitors know it too. Today's internet can be dangerous if website owners don't take the necessary steps to protect information. When your visitors buy something from you or submit personal information through a form, they're sending their data out across the internet. Without proper protection like a Positive SSL certificate, anyone with a bit of technical skill can pluck that information out of the internet midstream and then use it for their own ends. This is one of the leading methods of identity theft. In the early days of the internet, this risk was little known, and there wasn't all that much to do about it. But SSL changed all of that. Now, having some kind of SSL encryption is absolutely mandatory. But getting the protection you need doesn't have to cost a fortune. 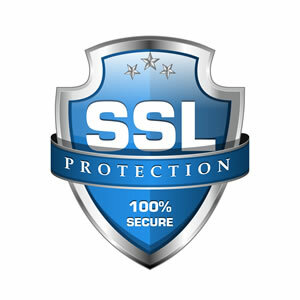 Positive SSL certificates are inexpensive and still provide the same protection as their more expensive cousins. Looking for an inexpensive way to reliably secure multiple subdomains? Comodo wildcard SSL is a great solution. This certificate offers industry-standard encryption and domain level validation. It will show users that you understand how important internet information safety is, and that you recognize the value of having SSL protection for their data. 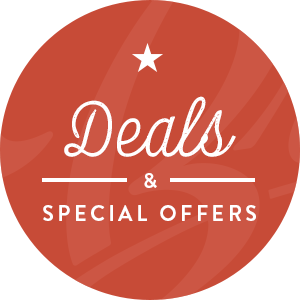 Secure multiple subdomains with one purchase. Comodo wildcard SSL can be used on as many subdomains as your website has. Mail.website.com and blog.website.com are all protected, as is www.website.com. If you need to secure multiple subdomains, this choice will save you money without sacrificing protection. Fast validation. Domain level verification means that your site will be checked out and your security seal issued in as little as 5 minutes. There is no higher level verification, which means that there is less trust than if you had selected an extended validation or organizational validation certificate. However, there is no difference in actual data security, only in how much research will be done about your organization before a certificate is issued. Industry standard data encryption. You get convenience and low price, but you don't have to sacrifice security. This wildcard SSL certificate offers up to 256-bit encryption with 2048 bit key length. This strength means that your visitors will feel comfortable with the security you provide even without the higher organization validation. With Comodo wildcard SSL, you can protect your website and make it safe for your visitors without paying a high price. This type of certificate works best for sites that already have a fair amount of user trust, as there is no higher level of validation to assure new users. If your visitors are confident about your business identity and you want to provide them with site-wide data security, this is the SSL certificate for you.